This was a consultation visit. As always, Dr Lewis was attentive, kind, knowledgeable & helpful. I had an endoscopy with Dr. Lewis. Everything was professional, and he was very thorough. Just a great doctor all around. Wonderful experience, doctor Lewis addressed all of my questions. Thank you! Had a great experience coming in! Caring, thorough and knowledgable. Have had only great experience with Dr. Lewis. Dr. Lewis was very prepared, very informative, and very personable for my recent pre-colonoscopy consult. I would recommend him to family and friends him without reservation. Took time to explain the medical isssues, and had a wonderful sense of humor. I'm grateful to have met such a wonderful physician. Very pleasant, answered all my questions. Dr. Lewis uses a prep method that is less unpleasant than most - not necessary to drink a gallon of foul tasting stuff. You are the most patient, calming, good doctor. Always a pleasure to visit with Dr. Blair even though it is for Medical reasons. Dr. Lewis is friendly and patient, two things that are sometimes hard to find in a doctor! Courteous, competent, well informed, makes the patient feel comfortable and at ease for the procedures. Would have no hesitation returning to him (indeed, I did return to him) and would recommend him without reservation. Great doctor and very compassionate man. I also find my visit with Dr Blair Lewis a pleasant and reassuring all the time. Dr. Lewis listens to your concerns. He is very knowledgeable and is willing to inform you on what you are experiencing. He is very thorough and knew exactly what questions to ask during my visit. He answered all my questions and assured me if I had any concerns to use the portal where we can communicate. 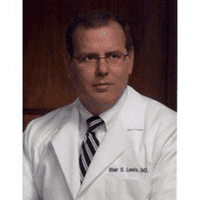 I highly recommend Dr. Lewis to anyone who is looking for a caring and very knowledgeable gastroenterologist. 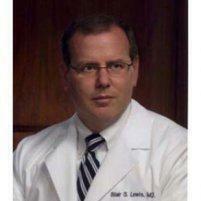 It is evident to me that Dr. Lewis really cares about his patients and tries to help them as much as he possibly can. A 5-star evaluation for this excellent doctor in every category.